Since 1998, the Northwest Florida Animal Clinic has served the pleasure and performance animal community of the Emerald Coast. 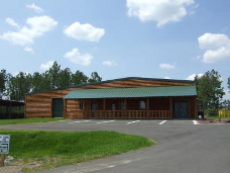 We are proud to be the oldest large animal clinic in Santa Rosa and Escambia counties. Our location between the two counties is convenient for our clients and allows our rapid response to emergencies. We are ready to meet the demands of this expanding clientele with the latest technology and expertise. To educate our growing community, NWFAC hosts annual educational seminars to disseminate new advances in veterinary care with topics including reproduction, lameness evaluation, parasite control, nutrition, chiropractic, and dentistry. We are proud to serve the towns of Pace, FL, Pensacola, FL, and Milton, FL. Sat: 8:00 AM-12:00 PM on the 1st of the month. Dr. Tabetha Brown grew up in Mobile, Alabama. She attended LSU where she played in the Tiger Marching Band for 4 years and graduated with a bachelors degree in Animal Science. 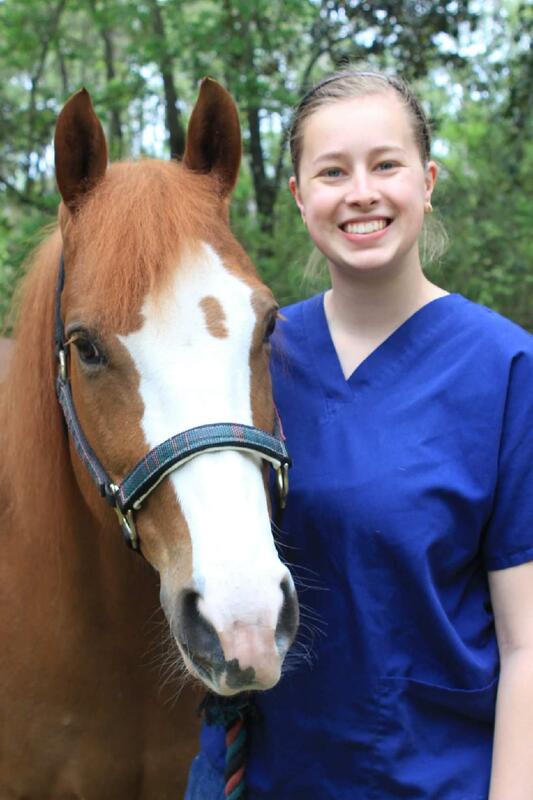 She attended Auburn University College of Veterinary Medicine where she took advanced electives in Equine and Food Animal Reproduction, as well as Equine Critical Care. she graduated in May of 2012. She enjoys all aspects of large and small animal medicine but particularly loves the babies!! She joined NWFAC in 2012 and purchased the practice in 2017! In January 2018 she finished her certification for equine spinal manipulation (chiropractic) and is now offering services in Equine Chiropractics. When she is not working, she enjoys spending time with her critters Foxie Roxie, Daisy, Bacardi, and her horse Maverick. She also enjoys riding horses and spending time with her husband, Paul and new baby, Lincoln. Dr. Joshua Smith grew up in Circleville, Ohio. He received his BS in Biomedical Engineering from Wright State University. Later, he moved to Knoxville, Tennessee where he earned his DVM from the University of Tennessee College of Veterinary Medicine. Dr. Smith moved to Pensacola, Florida and joined the NWFAC team in June 2016. He loves all aspects of mixed animal medicine but has a special interest in cattle. Dr. Smith has one dog of his own, a Brittany Spaniel named Riley. In his spare time, he enjoys working out, fishing, and hiking. Jen joined NWFAC in 2014. Jen is originally from Spring, Texas, she moved to Florida with her husband, Bobby, and her 2 youngest kids, Garrett and Lexy in 2013. She grew up showing Quarter Horses, and has been breeding and showing Bull Mastiffs for the past 13 years. Jen has her AA in Liberal Arts from Pensacola State College. In her spare time, she enjoys showing dogs, and watching her son play baseball for Escambia High School. I started at Northwest Florida Animal Clinic in September 2018. I'm a newlywed to my amazing husband who is a Ssgt in the Air Force. We are both head over heels in love with our 70 lb 4-legged lap dog. I went to the Pensacola State College Veterinary Technology Program and graduated May 2018 with my AS degree. I passed my VTNE in July 2018 earning my CVT credentials. In my spare time I enjoy riding my horse and spending time with my husband and dog.